Rabbi Barbara Aiello is honored to be a part of an exciting new adventure in Jewish Conversion and learning program through Darshan Yeshiva. “Darshan Yeshiva was founded in September 2013 in response to the growing demand for an online Jewish school that meets the needs of students seeking formal Jewish learning in a pluralistic context. Darshan Yeshiva offers an Introduction to Judaism and a Torah study program. In addition, Darshan Yeshiva (through the help of Atlanta based Reform and post-denominational rabbis) offers an online conversion to Judaism program. Rabbi is honored to be one of the Yeshiva’s mentoring rabbis. 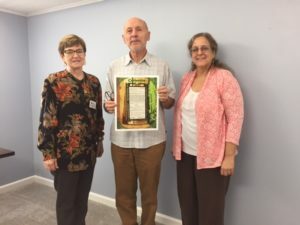 On Friday October 16 Kimberley Smith traveled from New Jersey to Florida, a journey that combined the physical with the spiritual as Kimberley began her Jewish journey to become a Jew By Choice. As a student with the Darshan Yeshiva distance learning study program, Kimberley studied with Jewish professionals, including rabbis and university professors in a program designed to bring Jewish studies and conversion opportunities to students who are elderly, disabled or who live in isolated parts of the world, far from existing Jewish communities. Founded by Rabbi Patrick Aleph, the Atlanta-based program matches students with mentoring rabbis, like Kobernick’s Rabbi Barbara Aiello, who develop supportive relationships with their students and offer guidance in the conversion process. 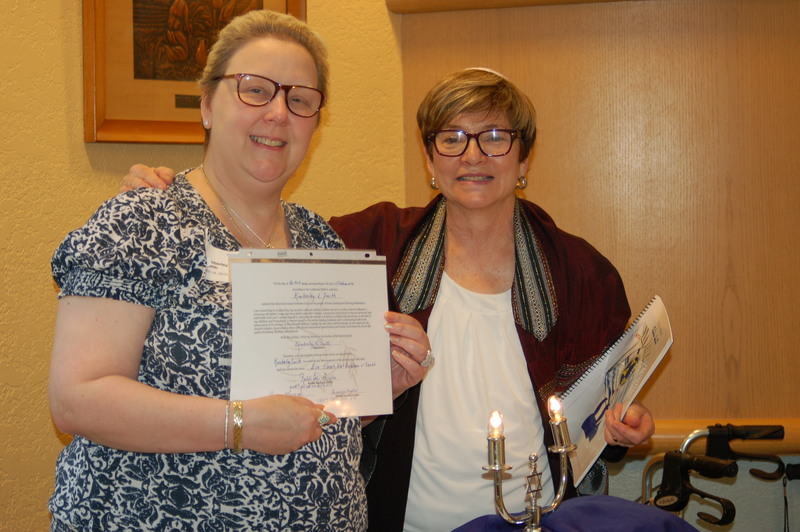 When Kimberley completed her year long study program she traveled to Sarasota for her conversion ceremony which included an appearance before a Bet Din (a three person panel made up of rabbis and/or Jewish lay leaders) followed by the ritual immersion, or mikveh ceremony. During Kabbalat Shabbat services Kimberley was presented with her conversion certificate and kindled the lights of Shabbat – her first as a Jew. her first as a Jew By Choice. Mazel Tov to Eli B., who appeared before Rabbi Barbara Aiello, Darshan Yeshiva Mentoring Rabbi, Rabbinic Associate, Rena M., and Holocaust Survivor Jeanine L., for his Bet Din – a detailed conversation leading to becoming a Jew By Choice. Following ritual immersion in the mikveh, we were honored to present Eli with his formal certificate and welcome Eli B., home to Judaism. 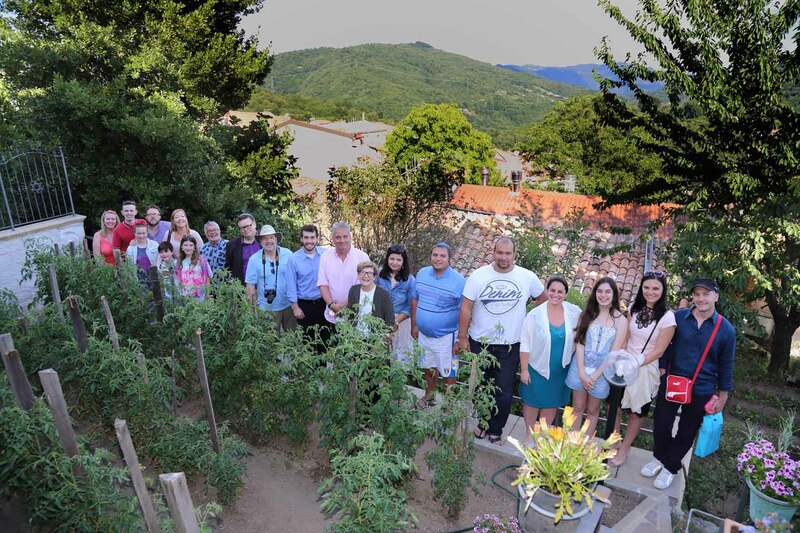 For Eli, whose family traces their ancestry to the b’nei anusim – Jews who were forced into Christian conversion during Inquisition times, this was an important step in reconnecting him with his Jewish roots. "I wanted to thank you for our e-mails and phone conversations over the years. I have taken a lot of your suggestions to heart, and I am embracing my Italian Jewish heritage while maintaining a Roman Catholic family. ,,,, and thank you again for your help in unlocking a hidden past that is shaping me into who I am today. ~John G"
"Yesterday I received my conversion certificate. When I opened it, tears fell from my eyes. 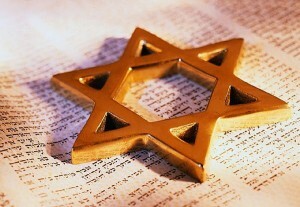 At last I am a Jew, It’s been a long journey of learning but at last I achieved what I always wanted."